Almost 350 booths filled the exhibit hall at Rapid + TCT 2017. Metals and monitoring. Serial production and scalability. Process control and price optimization. At this week’s RAPID + TCT 2017 conference, presented by SME and the TCT Group, the vocabulary was mostly that of the manufacturing, not prototyping, world. A constant buzz in the exhibit hall proved a high level of interest in all-things additive, worldwide, and confirmed the movement of additive manufacturing (AM) technologies into mainstream industrial applications. On a higher level, all these efforts are helping industries get closer to an efficient, full digital workflow. With the AM industry now more than 30 years old, it seems people are finally “getting it.” The bigger picture tasks identified in a keynote panel by 3D Systems president Vyomesh Joshi were productivity, repeatability, durability and how to make them cost-effective in the realm of AM. Long-time players in this field, well-established companies recently branching into AM, and dynamic newcomers all brought fresh products and ideas to share and show. Splitting time between tech talks and exhibitor booths was kind of like speed dating with so much to see and learn in such a short time. Here are some highlights of what DE found to be impressive from the almost 350 booths. The first few are just my personal favorites. Be sure to dig deeper into all of them, and watch for DE to cover additional announcements in the coming weeks. Desktop Metal was a stand-out, from its high-energy on-stage product introduction to the booth demonstrations of fully dense metal parts made (you guessed it) on a desktop, office-environment system from classic metal injection molding (MIM) resources. The company launched two systems, the DM Studio system targeted to prototyping and the DM Production system designed for mass production. DM Studio uses a Bound Metal Deposition process: It lays down filament of polymer-encased metal powders, then moves the part to an office-friendly, microwave-enhanced sintering furnace with all profile settings built in. DM Production (coming in May) employs Single Pass Jetting where in a single (bi-directional) pass over a powder bed, the system spreads and compacts powder, deposits a binder, deposits an anti-sintering agent and dries the layer. Parts then go into the same furnace. Desktop Metal says the latter system can produce 520 parts a day vs. the common output of 12 parts a day on a selective laser sintering system. And—very cool—all support structures break off by hand, thanks to the use of a special ceramic “release layer” printed between part and support. Desktop Metal’s proprietary separable supports make it possible to remove support structures by hand. Images courtesy of Desktop Metal. And back in the realm of thermoplastics, RIZE is a fairly new endeavor but you’d never know it from its staff of industry veterans with serious credibility (i.e., years of experience at former Z Corp and other long-time AM companies). The excitement around the RIZE One industrial desktop 3D printer centers on its zero-post-processing philosophy and subsequent cost-savings. Visitors crowded the booth to get a chance to easily remove supports from sample parts with a twist of thumb and finger. The company’s process called Augmented Polymer Deposition extrudes Rizium One engineering-grade filament then jets Release One repelling ink between the part and support structures, producing a fully dense, ready to use part whose surface is totally smooth once the supports have been removed (in about five or 10 seconds). Stay tuned for more material offerings. So many of the businesses and products presented at RAPID + TCT cross lines from hardware to software to supporting processes (pre- and post-) that it’s hard to put them into neat categories. Here instead is an alphabetical list highlighting some additional technologies that promise to move AM into true manufacturing. 3D Hybrid Solutions: The world’s largest metal 3D-printers are 5-axis CNC machine tools using direct metal deposition to create near-net shapes. These systems deposit multiple materials at speeds beyond 20 pounds per hour, all while machining internal and exterior shapes. Volumes beyond 500 cubic meters are possible. 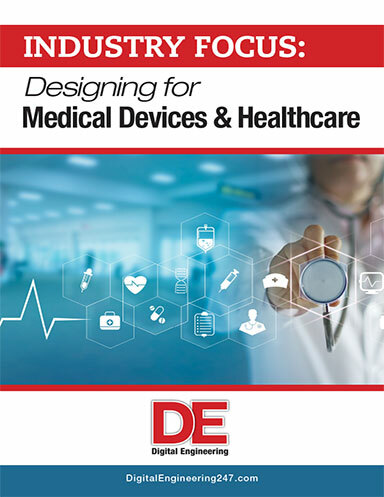 3D Systems: The originator of AM technology has not slowed down. The company introduced its new ProJet MJP 5600, a voxel-level multi-material 3D printer (using new 3D Sprint 2.5 process-control software) which it says offers print speeds up to 18% faster, a larger build volume, and part costs that are 40% less than competing multi-material 3D printers. 3D Systems also began shipping its 3DXpert all-in-one software solution for all of its direct metal printers to streamline workflows; it includes a new Build Simulation capability. And the industrial Figure 4 was impressive for its approach to automated builds. 3Diligent connects customers in need of parts with potential manufacturing services by using data science to analyze RFQs and identify optimal parts. Not only does the secure service operate worldwide, it lets users find options in the full range of AM, CNC and urethane casting services, and creates a dashboard of two-way communications so the user has full transparency to which company with what equipment could be building the requested parts. 3DSIM: Finally AM simulation software is becoming commercially available. exaSIM Beta Software is a cloud-based AM simulation tool that provides metal laser-sintering users rapid insight into residual stress and distortion predictions. 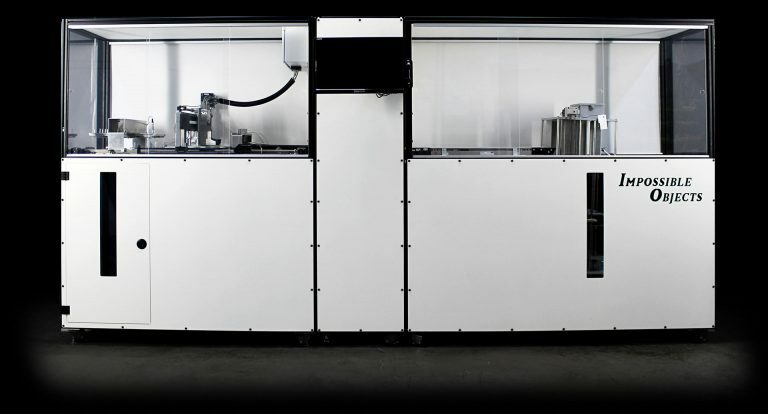 Additive Industries: This Netherlands-based company has not only released a four-laser version of its modular industrial MetalFAB1 system, it is also responding to users who do not yet need full automation by offering a smaller, upgradeable version called the Process & Application Development Tool. AddUp Fives Michelin displayed its FormUp 350 direct-metal multi-laser melting system, and announced its entry into US and Canada, including system manufacturing here; its AddUp Manager software looked particularly useful for industrial workflow management. Autodesk Netfabb continues to amaze with the flexibility it offers users in design for additive, metal process simulation, model import/repair/editing, build preparation and even planning for post-build CNC machining. Axsun Technologies addresses in-process inspection/quality control for metal AM systems, building on its expertise in Optical Coherence Tomography. It adds imaging capabilities directly to the print-head so defects can be caught as a layer is printed. DSM Somos displayed samples of its recently announced high-heat-deflection Taurus material and its low-ash burnout, antimony-free investment casting material called Element. DWS Lab of Italy presented a range of intriguing, high-quality detail SLA printers, including a compact desktop version, the XLAB, that uses 12 wide-ranging materials in handy quick-change cartridges. 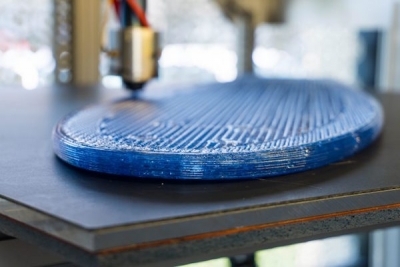 Impossible Objects has introduced its composite-based additive manufacturing technology (CBAM) to select Fortune 500 companies to pilot. Image courtesy of Impossible Objects. Impossible Objects won the RAPID + TCT Exhibitor Innovation Award for its composite-based additive manufacturing (CBAM) technology. This process creates high-volume, extremely strong polymer matrix composite parts from sheet stock of non-woven composites and a special binder/compression process. Look to Impossible Objects for more material options and scaled-up systems. LINK3D offers a software platform that leverages data and artificial intelligence to connect design engineers with what it says is the world’s largest network of industrial 3D printing services. It currently offers 250+ unique materials and more than 600 machines from vetted service companies, and includes the options for more than 100 manufacturing certifications. 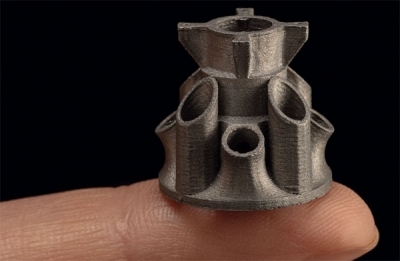 Markforged showed its impressive, affordable desktop metal Metal X system that extrudes powdered metal safely encapsulated in plastic filament. Parts are easily sintered in a microwave/thermal office-friendly furnace that only takes 90 minutes for full sintering (compared to typical overnight runs of 14 hours); it will be available in September. 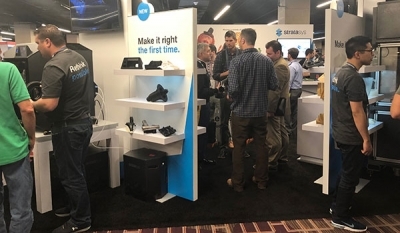 Materialise had a larger presence at the show highlighting the latest revisions of its Mimics, Magics and 3-matic AM part preparation, optimization and management software tools. The company is increasing its role in the full digital supply chain end-to-end solution. 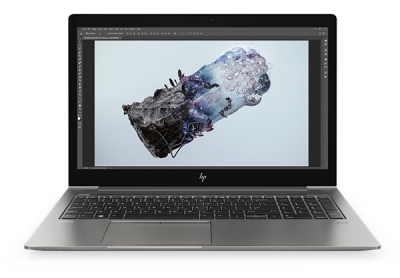 Materialise Inspector, for layer-by-layer monitoring, is a key part of this. Paxis: Keep an eye out for this resin-based AM system in development by long-time service provider CIDEAS. “Thoughtfully created by an end-user,” it will deploy WAV (wave) technology and use exotic and hybrid materials. SABIC: The worldwide materials company has debuted a new portfolio of six high-performance filaments designed for use in Stratasys Fortus FDM systems. SABIC also launched a family of high-performance THERMOCOMP AM compounds addressing the unique requirements of large format AM systems, such as the Cincinnati Incorporated Big Area Additive Manufacturing (BaAM) unit. Sintavia, an independent metal AM services company, is poised to possibly fill the gap created some years ago when Morris Technologies was acquired by GE. 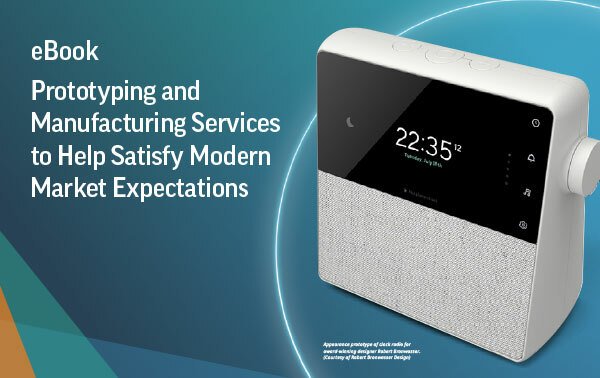 Already operating such systems as EOS, Concept Laser, Arcam and SLM, the company is expanding its full-service supply chain business (which already includes all necessary metallurgy, quality control and inspection services) into a new 55,000-sq.-ft. facility that includes CNC machining for secondary processing. 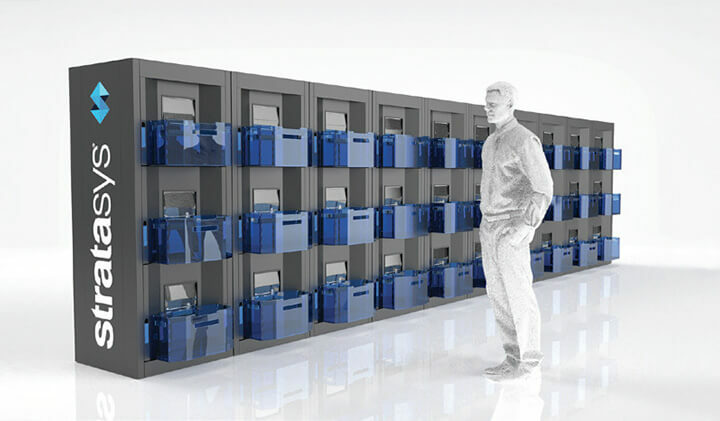 The Stratasys Continuous Build 3D Demonstrator can be expanded to grow according to production requirements. Image courtesy of Stratasys. Stratasys had big news at a big press conference as it unveiled the results of “skunk works” developments targeted at automation and workflow improvements. The company showed off its Continuous Build Demonstrator system that comprises multiple, side-by-side-connected stacks of three totally hands-off filament printers. Cloud-based control software lets a single operator send different files to each of the networked printers; each printer not only prints its part(s) but ejects the parts (still on their Mylar build sheets) into bins. Users can then pick up the bins hours later and load them into easy wash stations for mass production of customized parts. Three groups of trial users have been working with these systems since January and are totally enthusiastic about the flexibility and ease of use. Currently the systems are running ABS but other materials are coming. UnionTech/RP Sales America showed off systems from UnionTech, a 17-year-old stereolithography (SL) system manufacturer based in China. Not only did the parts look great themselves, the company had parts (backed by data) that demonstrate the added strength possible by metal-cladding of SL-printed parts. A finely detailed piece of jewelry for investment casting from Union Tech. Vader Systems: I have to include Vader Systems, the machine tool builder that was one of the first innovators to take on the challenge of reducing the cost and complexity of AM metal part production. 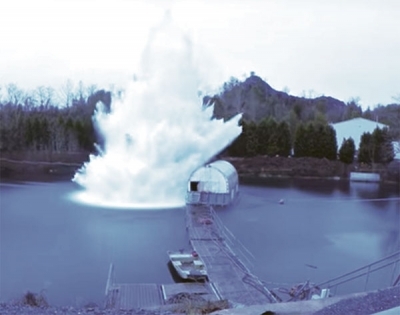 Its MagnetoJet Technology not only sounds cool, it is cool as it produces parts by jetting molten metal droplets-on-demand through a nozzle using electromagnetic propulsion. Vader Systems offers part production at twice the speed of powder-bed systems and a 90% cost reduction by working with wire feedstock (aluminum so far). Adding multiple print-heads in series makes the system scalable, too. 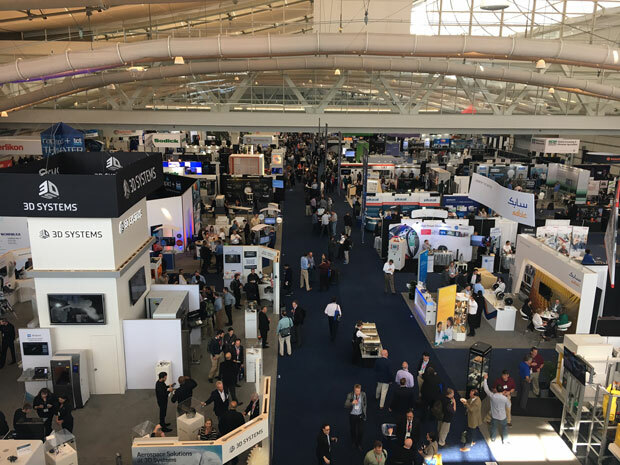 Read “RAPID + TCT 2017: 3D Printing Alliances Build Bridges to the Future” for our coverage of the show keynotes and panels.